Fresh flowers are a cheap thrill. They aren't just for the rich and famous! They can bring a smile to your face in an instant. Fresh flowers make you feel good.They can boost your morning moods and lift your spirits. Read "How to Boost Your Morning Mood here." You can have fresh flowers in your home daily.Even on a tight budget. 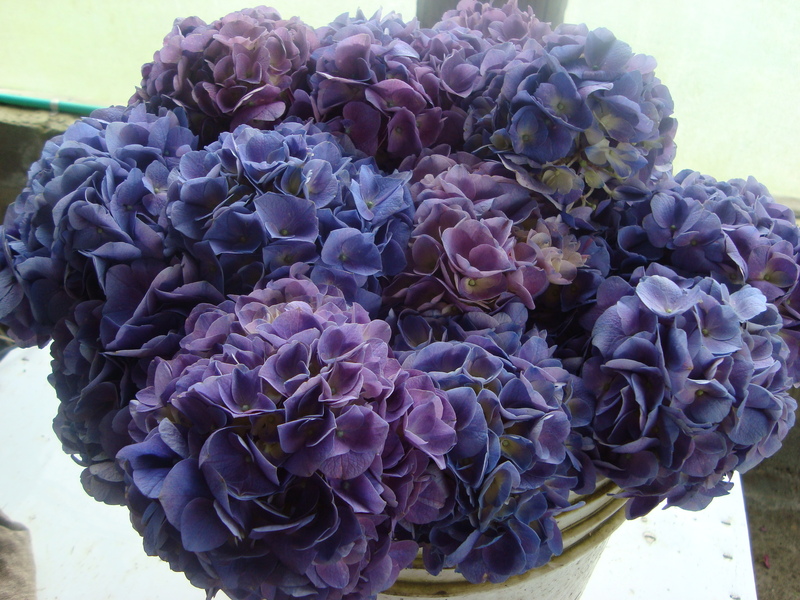 1) Go to a florist and buy one unusual flower. Ask the florist to recommend a long-lasting flower. Cut it and place it in a vase. Learn how to care for fresh flowers here. This is a good investment. Lilies, alstroemeria, carnations and some varieties of roses can last as long as 7-14 days. If properly cared for that is. Flowers purchased from good florists generally last longer.They condition them well. And keep them in coolers to preserve them. 2) Buy a small bunch of mixed flowers. Cut them short and place them in small vases and jars around the house. Flowers cut shorter often last longer.The shorter stems allow the water to get to the flowers more quickly. 3) Learn to appreciate flowers at all their life stages. Ever notice that roses in magazines are always all the way open. That's when they are most beautiful. Don't just go for the tight buds. Often those tight buds you think will guarantee you a longer vase life really mean the flower was cut too early. When that happens with roses, they won't open at all. Learn how to select flowers the way florists do here. 4) Buy a bunch of flowers and split them with a friend. Spread the wealth. By going in together you'll get more bang for your buck. 5) Buy a cheap bunch of flowers from the corner store. Ask which day the flowers are delivered and buy them that day. Follow the tips above for proper care. Fresh flowers are a joy to behold. Make them a part of your daily life! I've just given you 5 ways to get started. Can you think of other ways to make fresh flowers affordable? Don't you just love this simple yet elegant flower arrangement. I think the combination of orange and red roses is quite stunning. Find a place that sells fresh and unusual colored roses. Buy 2 dozen red and orange roses. Read "How to Select Fresh Flowers The Way Florists Do." Cut the flowers and place them in water. To learn how to care for your flowers read "10 Secrets for Keeping Flowers Alive Longer." Select a vase with an opening of approximately 4-5 inches. The wider the opening of the jar, the more roses you will need. Fill the vase with water. Not all the way to the top though. Don't forget to add some floral preservative to the water. Remove any leaves from the rose that will go into the water. Leave the thorns on though. 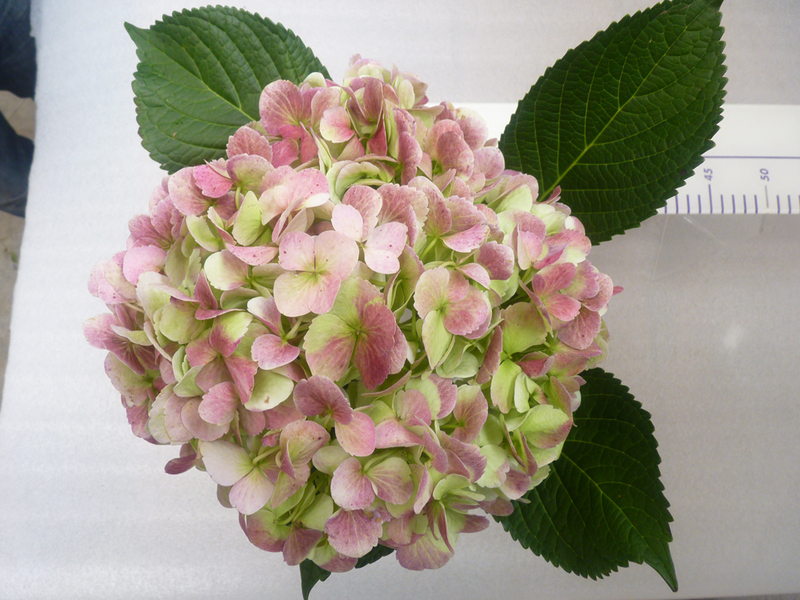 They prevent bacteria from entering the stem of the flower. Cut one rose and place it in the vase. The stem should reach the bottom of the vase and the blossom should be right at the top of the vase edge. That's if you want a full and elegant flower arrangement. Do the same thing with the other roses until the bowl is full. Better to cut the rose too long than too short. You can use a colored or clear glass vase. If you do though, you will see the stems. If you prefer not to see the stems, try a ceramic vase. Don't forget to: change the water, wash the vase and re-cut the stems every few days. It will make your arrangement last longer. Buy good quality roses if possible. The flower arrangement will be more full and it will last longer. If you buy roses that are tight, tight, tight they will never open. They were cut too early by the grower. Enjoy your rose arrangement. Let me know how it turns out. Link to other blogs in the 31 Day Challenge here at The Nester.